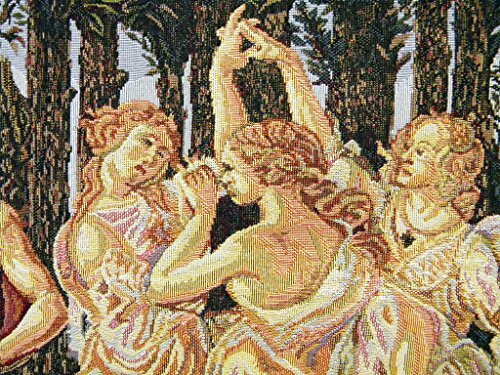 Allegory of Spring Italian woven tapestry features the work of artist Sandro Botticelli. Also known as Primavera, this scene features six female figures and two male in an orange grove. On the right side of the image we see a flower-crowned female figure stands in a floral-patterned dress scattering flowers, collected in the folds of her gown. Width : 42.00" and Height : 26.00"